The Indira Gandhi National Open University (IGNOU), the largest university in the world with more than 3 million students, has decided to shut down the Mother Teresa Chair in health, education, and social work, to the dismay of local Christians. 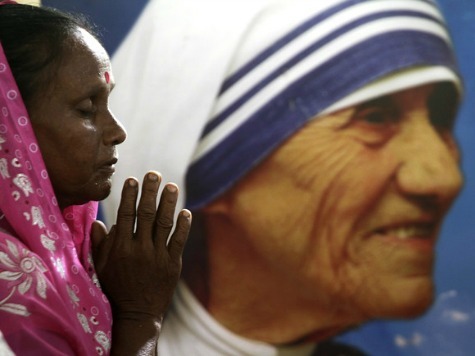 “We condemn the reprehensible and incomprehensible decision of Indian Government-sponsored IGNOU to discontinue the Mother Teresa Chair,” said John Dayal, secretary general of the All-India Christian Council. “We call upon the Board of Management of IGNOU not to close down the Mother Teresa Chair, but to add to its endowment to further the cause of social work and research,” Dayal added. The Mother Teresa Chair is apparently being closed down for lack of funds. The decision, in fact, did not seem to specifically target the Mother Teresa Chair. IGNOU has also decided to discontinue the ISRO (Indian Space Research Organization) chair, the CV Raman chair for science education, UNESCO chair in technology and e-governance and Vishveswarya chair for work in education linkages. On his recent visit to Albania, Pope Francis paid tribute to the Albanian-born Indian-national, who is also a Nobel Laureate. The Chair was established in a Memorandum of understanding between the Catholics Bishops’ Conference of India and the university and its stated objectives were to address the needs of disadvantaged sections of the society through courses and programs of study such as social work, HIV/AIDS, family life education, substance abuse, and philosophy.